Incredible food, great service and fantastic facilities! The deluxe Mountain or Gondola view rooms are highly recommended for a fantastic view of the slopes and spectacular pine clad Pirin Mountains! Unwind in the beautiful spa after a hard day on the slopes, the facilities here are truly Five Star. For the ultimate in luxury accommodation, you needn’t look further. Being a member of the ‘Leading Hotels of the World’ Kempinski offers the highest standard of accommodation‚ impeccable service‚ exquisite food, excellent facilities with a superb spa and wellness area. Conveniently located opposite the high–speed gondola, it’s possible (snow permitting) to ski all the way back from the top of the mountain. Free children’s club for all hotel guests with children from 2 to 12 years of age. Open every day from 9.00am to 9.00pm with a variety of amusing activities. A babysitting service is available on request at an extra charge. † Some facilities may incur a local charge. (2–3 people): Deluxe twin or double rooms are approx. 35m2 with satellite TV‚ minibar‚ mini–safe‚ balcony‚ Wi–Fi‚ bath‚ separate shower‚ wc‚ bathrobes‚ slippers and hairdryer. Some rooms can take an extra bed suitable for a child only. Double rooms for sole use available. Deluxe rooms with mountain & gondola views also available. Included board basis varies by supplier. & New Year Gala dinners included. February 2011 was our second time at the Kempinski in Bansko. We went in February 2010 as beginners and were really impressed by the resort in general. The ski road is an excellent way to return to the hotel due to the ski-in ski-out boot room which is just off the ski road. The hotel is absolutely fantastic. Rooms are lovely and big, well equiped and the food is excellent. I have seen reviews that say the food is strange and not good which I cannot understand anyone writing. Okay, so they don't serve chips but hey, this is a posh hotel, not a fast food restaurant. Seriously, the food is excellent as is the service. The only shame on my second year at the Kempinski was the withdrawal of the free priorty pass for the gondola which allowed Kempinski guests to jump the queue in the morning - this was free in 2010 but there was a c. £400 charge per person for this in 2011. That said, if you start queuing before 9am, it only takes 10-15 minutes before you are on your way so it is not so bad. 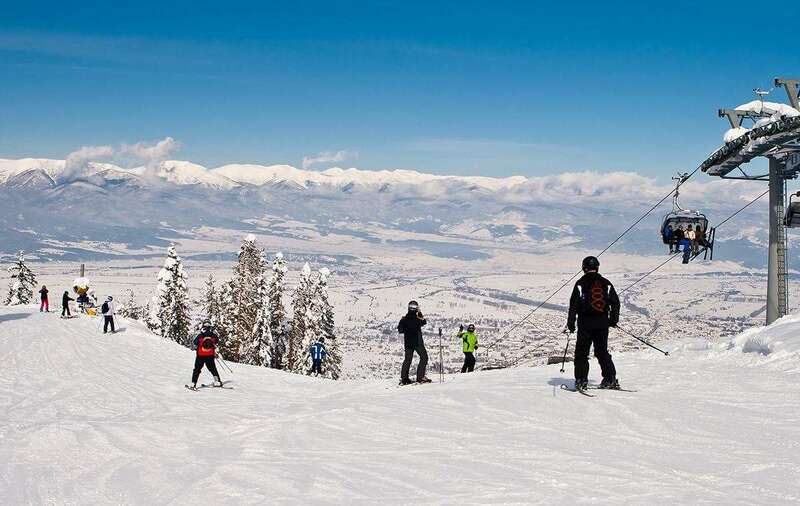 Bansko is an excellent resort for beginners and intermediates and very good value for money. Excellent hotel, with fantastic facilities. Stayed there Dec 07 it was the first time I had been skiing, the fact you could ski right to the hotel door was brilliant and I would not want to stay anywhere else. The service was excellent even if some of the meals were slightly strange, but just go and enjoy it and make the most of the apres ski! The price shown includes 7 nights accommodation, with flights from Belfast International.